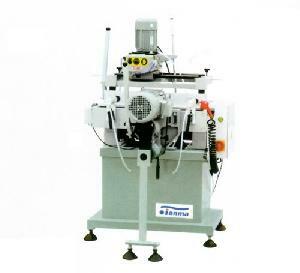 is composed of three-hole drill and copy-routing mill. It process various kinds of holes, grooves and water-slots for aluminum window and doors. Rise speed by belt, high speed and milling quality. Changeable copying plates for different holes and grooves.